When you and your loved ones get into your vehicle, you can relax in knowing that safety feature improvements have made a huge difference in saving lives on American roadways in the past 20 years. Most people think of seat belts as the most remarkable safety innovation in automobiles for prevention of deadly crashes. But following safety belts came airbags, durable occupant safety cages, roll bars and crumple zones. These each provided great strength to vehicles and enhanced survivability for passengers during accidents. Automakers of today are looking at new ways to make driving even safer. So the next years should be exciting, when watching what carmakers come up with for greater survivability in new auto models. This Ford-designed system employs two radar beam modules for blind spot awareness and other vehicle detection. These radars help drivers avoid deadly crashes often caused when changing lanes or encroaching upon unseen vehicles in the blind spots of the car being driven. Drivers are alerted of risk through an indicator light so they can correct their actions to prevent accident. Volvo’s system innovation prevents deadly crashes using automatic braking. Although this is a low-speed device that stops the vehicle when it is only traveling at city speeds of two to 19 miles per hour, such as in parking lots or urban roadways, this braking system can prevent pedestrian, bicyclist and other fatalities. Honda’s grille housed sensor monitors distance of traffic ahead and the driven vehicle’s own speed. By doing this, it is able to alert risk of crash with vehicles in the distance. The system flashes a warning light, tugs at the driver’s seat belt and even starts braking on its own to reduce the risk of deadly crashes. An audible signal alerts drivers of new Audis to make them aware that they are swerving out of their own lane. This system does not stop the car or otherwise intervene. But it does cause the steering wheel to vibrate to ensure the driver is immediately aware of vehicle path changes, while corrections can still be made to prevent deadly crashes. This innovation is extremely useful for drowsy drivers who can be awakened by the steering wheel vibrations. Mercedes-Benz technology alerts drivers that animals or pedestrians are in or too near the roadway ahead, using forward facing infrared cameras. While the driver is alerted through high resolution displays on the instrument panel, the people or animals are also alerted through automated light flashing from the vehicle’s headlights. Each of these innovations increase safety to prevent deadly auto accidents. But driver error, negative behaviors and distracted driving are still problems despite technological improvements. 2015 brought continuing increases in the number of motor vehicle deaths, despite changes to automotive technology. The National Safety Council had already noted a 14 percent increase in deadly crashes for the first six months of that year. That was over 18,000 fatalities with 30 percent more non-fatal injuries also occurring than in 2014. The National Safety Council attributes the increase in fatalities to higher numbers of people on the road. Those increases in auto travel can be credited to lower gas prices and economic improvements, two factors enabling people to drive for leisure more often and for longer distances. Government officials are working to influence automakers to make many luxury safety innovations, such as automatic braking and features seen on brands such as Volvo, Audi and Mercedes, standard for less expensive brands and models. Safety should not be limited to those who can afford luxury. Despite safety innovations, one of the biggest problems causing deadly crashes is human error. Such error is often in the form of negative driving behaviors, also known as negligence. Surveys indicate 75 percent of drivers still use their cell phone while driving, despite knowing this activity behind the wheel is very deadly. 60 percent of drivers admit texting while driving. The Centers for Disease Control (CDC) reports the fifth most common cause of death in the U.S. is accidents, as also stated on Boston auto accident attorneys’ website. Most accidents are very traumatic, even where there was no physical injury. The emotional scars can remain for a really long time particularly if you were the one behind the wheel. You might find yourself reluctant to get anywhere near the wheel of a car soon after. This is a normal reaction and may not bother you much at first. However, it is important that this feeling does not linger. The best way to overcome the fear of driving after an accident is to get your confidence back. Here are a few suggestions on how to do just that. Don’t feel keep feeling bad about what happened. Stop blaming yourself because you had an accident. 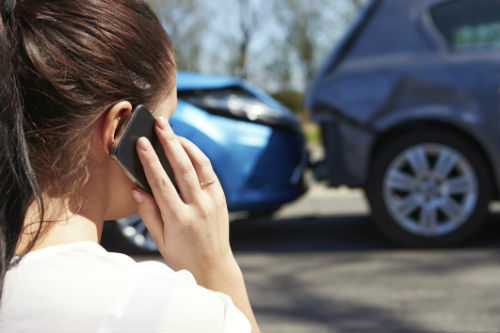 According to Forbes, most people file a claim for collision at least once in about 17 years. So you are not alone in this. Whether it was as a result of your mistake or the other driver’s, there are lessons; learn from them and move on. When you move on, go slowly. Do not push yourself too hard as you have been through an experience that would most likely be traumatic for most people. Take things easy and be kind to yourself. Take care of yourself and if you need to take driving lessons in order to boost your confidence, go ahead and take them. Don’t wait too long before getting back behind the wheel or you might get paralyzed by anxiety. Go slowly, but do make proactive efforts to try and get back to driving. You can start in your neighbourhood where there is less traffic, and drive around for a bit. As your confidence builds, you can then move on to the highway and your other normal routes. If you do not want to stress about being responsible for someone else, then drive alone until you gain more confidence. However, if having the company of someone you trust helps you to keep calm, be sure to invite them along for the ride. Understand that everyone is different, so go with the approach that works for you. Driving anxiety is a real problem for many people and if you are suffering from such anxiety, do not dismiss it. If you have tried driving again and you just can’t seem to make that move from thinking about it to actually driving, then you should seek therapy. Psychotherapy is used for anxiety resulting from a traumatic experience, and it is likely that the accident was traumatic for you. Do not let anyone make you feel bad about the need to seek psychotherapy, in the end it is about taking control of your life. If you are able to face your fears and get behind that wheel at the end of it all, then that’s all that should matter. Gaining your confidence back after having a motor accident is not easy, but with patience and determination it can be done. Just remember to be kind to yourself and take it at your own pace.